Jean Tomlin OBE is an experienced senior executive and consultant. As Director of HR, Workforce and Accreditation at the London 2012 Olympics and Paralympics, Jean Tomlin held accountability for the mobilization of the UK’s largest peace-time workforce (200,000), including the world-acclaimed 70,000 Games Makers. As well as heading up the day-to-day HR operations and activities of LOCOG, the workforce planning, accreditation, uniforming, retention and engagement of the workforce, Industrial relations, organisational design, diversity & inclusion and LOCOG’s dissolution planning and implementation were also within Tomlin’s remit. 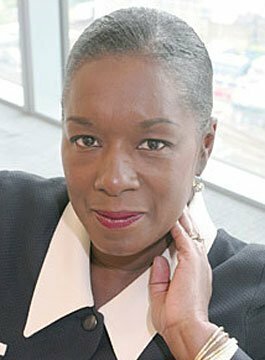 Prior to joining London 2012, Jean was Group HR Director at Marks & Spencer plc as well as an executive advisor to the BBC. Previous roles include HR Director of Egg plc and Sales and Operations Director of Prudential Direct. She started her career as a graduate trainee at Ford, starting in personnel, training and labour relations. Jean has also worked extensively with the Public Sector including as a Commissioner for Judicial Appointments, a Board member and Chair of the Remuneration Committee to the former Greenwich Healthcare Trust, Board member of the Student Loans Company and as a member of the National Curriculum Advisory Board. Jean is a Non-Executive Director of the J Sainsbury PLC Board and an Independent Director on the Board of Michael Kors Holdings Limited. CIPD 2012 First Special Achievement Award for Human Resources practice. OBE for Services to the Olympic and Paralympic Games – New Year’s Honours 2013. Numerous awards received on behalf of Games Maker Volunteers. HM The Queen’s recognition for services to financial services. HM The Queen’s recognition for women’s services to business. ‘Jean has a marvelous story to tell as the inspiration behind the London 2012Games Maker volunteer programme, and it is one she tells with great panache and verve. As the former Chief Executive of Volunteering England, who worked closely with LOCOG throughout the run-up to the Games, I have seen Jean perform up close and personal in a variety of settings, from large national conferences to smaller workshops and master-classes. She was the key-note speaker at the National Volunteering Convention in Newcastle in the lead up to the Games and delegates commented enthusiastically on her relaxed, without-notes, speaking style and her obvious passion and enthusiasm for the cause. The Games Makers were the unexpected highlight of the Games and promise to transform public attitudes towards volunteering in society. As the face of the Games Makers, and drawing on a wealth of experience in leadership and human resource management across the corporate, public and voluntary sectors, Jean would be a major draw at any national or international event keen to learn more about the success of London 2012 and the lessons for the future’. Dr. Justin Davis-Smith CBE - Executive Director of Volunteering and Development, NVCO.